From our President & CEO Dear Friends, At PYN, when we see young people, we see limitless possibilities. Our young people are our city’s untapped talent, the key driver to a vibrant and thriving economic future. The best way to develop that talent is by providing an opportunity to learn, grow and enhance the essential skills needed to enter and advance along a chosen career path. We define opportunities as education and employment experiences supporting intentional connections to quality career pathways. In our work, we are always seeking to enhance and grow the number of opportunities available to youth and young adults. We are committed to addressing the many barriers that may impede our young people’s progress because we know that when our young people have equitable access to opportunity, they’re more prepared for the world of work. Ensuring that they are prepared is not only important for the growth and advancement of our young people but is also good business sense. When our young people are prepared for the workforce, current and potential businesses have the talent pool that they need to drive economic growth in the Greater Philadelphia area. This growth can ultimately help individuals and communities transcend poverty and decrease economic disparity. HIGH QUALITY OPPORTUNITIES FOR YOUNG PEOPLE, Worked to raise Philadelphia’s high school graduation rate by more than 30 percent, Innovated more than 20 pilot programs to interrupt specific barriers that some of our young people face, United more than 200 service providers in a common strategy to deliver workforce and education programs and Raised more than $425 million from local and national funders to support youth education and employment opportunities in Philadelphia and beyond. PYN BUILDS SOLUTIONS FOR EDUCATION AND EMPLOYMENT. With a firm belief that young people need equitable access to both education and employment opportunities, PYN works to alleviate a root cause of poverty by preparing 12-24-year-olds to become productive working adults. Together with partners, PYN dramatically changes the trajectory of individuals’ lives by building opportunity for youth, ultimately creating a pipeline for an educated, engaged workforce. YOUNG PEOPLE in Philadelphia are seeking education and employment opportunities. OF EMPLOYERS struggle to fill jobs...in fact, it’s harder now than ever. Which prepare individuals for the world of work. For the past 20 years, PYN has been working with partners to create coordinated systems for education and employment, maximizing limited resources to accelerate progress toward common goals. We strive to build solutions that help individuals and communities build pathways out of poverty and transform systems to address inequity. PYN SEEKS TO ACCOMPLISH THESE STRATEGIC GOALS BY JUNE 30, 2020: SYSTEM BUILDER Creator of a unified system of services and resources. INNOVATION INCUBATOR Facilitator of processes to develop, import and replicate new approaches. STRATEGIC CONSULTANT Provider of resources and tools that grow capacity in communities. Expand the continuum of education and employment opportunities by 30%, creating 20,000 opportunities annually. Improve and scale three pilots for vulnerable populations with one or more barriers to education and employment, locally and nationally. Share our best practices through replication in two states beyond Pennsylvania. Integrating workforce and education PYN creates and supports education and employment experiences for 12-24-year-olds, which span the continuum from early, to intermediate and advanced opportunities. All figures refer to 2017-2018. LONG-TERM OPPORTUNITIES These opportunities connect young people to education and employment for an extended experience, running longer than one quarter throughout the calendar or scholastic year. Convening stakeholders and informing policy PYN believes in collectively addressing systemic barriers by serving as an intermediary, facilitating and joining conversations that create change on a larger level and scale. PYN LEADS COLLECTIVE EFFORTS RELATED TO EDUCATION AND EMPLOYMENT, INCLUDING: WorkReady Philadelphia, a citywide effort to address the skills gap by convening partners to build a coordinated approach to preparing young people for future employment. WorkReady stakeholders seek to give young people ages 12-24 access to a meaningful paid work experience that promotes self-efficacy, connects youth to caring adults and offers the opportunity to build the transferable skills required to secure and sustain employment. Project U-Turn, an alliance that unifies partners to increase the graduation rate and prepare young people for future opportunities. The alliance is led by an executive committee, steering committee and action teams with cross-sector representation from the School District of Philadelphia, the Mayor’s Office of Education, the city’s Department of Human Services, Community College of Philadelphia, Public Citizens for Children and Youth, William Penn Foundation, practitioners and young people. 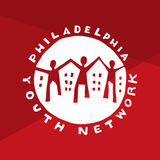 PYN PARTICIPATES IN PARTNERSHIPS INCLUDING: Fueling Philadelphia’s Talent Engine, the citywide workforce plan released in February 2018, prioritizes investment in education and employment programs that harness the energy and talent of youth and fuel the city’s economy. Generation Work, launched by Annie E. Casey in 2015, connects young adults with meaningful employment by changing the way public and private systems prepare them for jobs. Partners include District 1199c Training and Upgrading Fund, Job Opportunity Investment Network (JOIN) and YouthBuild Philadelphia Charter School. SHORT-TERM OPPORTUNITIES These education and employment opportunities are offered as a time-bound experience, often seasonally. Summer is a critical entry point for many young people who have not yet been exposed to the world of work. Director of Adult Education, Congreso de Latinos Unidos Inc.
Post-Secondary Bridging is designed to dramatically enhance post-secondary success for Philadelphia’s opportunity youth, by re-engaging those who are disconnected from high school to be successful in dual enrollment. Lessons learned from implementing the pilot were published in a program implementation guide, Foundational Elements for Post-Secondary Bridging, published in May 2018. The pilot will help inform Project U-Turn’s agenda for creating more postsecondary opportunities for disconnected young people throughout Philadelphia. This pilot is powered by the Social Innovation Fund in partnership with Jobs for the Future and the Aspen Institute for Community Solutions. Reimagine Retail is a partnership to achieve a shared vision and common goals that transform the local retail sector’s systems and practices. The partnership will investigate approaches to improve job quality, create pathways for worker advancement opportunities, and increase employee engagement, productivity, and retention in retail and related sectors. This work is funded by the Aspen Institute Economic Opportunities Program and made possible by the Walmart Foundation. It is managed by PYN on behalf of the Generation Work partnership. The Hub at PA CareerLink® West brings together community resources to connect youth and young adults in the West Philadelphia Promise Zone with employment and education opportunities, while also providing the individualized supports needed to succeed. This place-based strategy considers the assets and needs of the specific community and creates a tailored response to promote workforce participation and economic growth. This pilot is funded through the Summer Jobs and Beyond Grant from the U.S. Department of Labor awarded to Philadelphia Works, and seamlessly integrates services for youth in partnership with the adult public workforce system. Pathways to Justice Careers connects young people who are in-school, ages 16-21 with mentors and advisors who provide supports needed to graduate high school and enter a career in the criminal justice or emergency services fields. These services introduce youth to pro-social values of community safety and build positive community relationships, while building interest and awareness for the criminal justices and emergency services industries. By positively and intentionally building bridges between communities and law enforcement, Pathways to Justice Careers addresses systemic challenges in addition to impacting individuals. This pilot is made possible by a grant from the U.S. Department of Labor. Pipelines to Apprenticeship encompasses PYN’s work to create and expand opportunities for youth and young adults in traditional and non-traditional industries. Efforts include expanding formal pre-apprenticeship programs, creating stronger referral to registered apprenticeships and raising the profile of apprenticeships as a viable pathway to quality careers. This work is supported by partners including Philadelphia Works. Youth Entrepreneurship pilot at E3 Power Centers creates a new entry point into the workforce for future business owners. This pilot combines entrepreneurial education with opportunities for direct practice to yield an experience that meaningfully shows entrepreneurship and small business ownership as a viable career pathway. With a focus on equity, this pilot seeks to boost enterprise opportunities for young people who are experiencing barriers to participation in the economy. This pilot is made possible by a grant from Aspen Opportunity Youth Incentive Funds (OYIF) Youth Entrepreneurship Fund. YOUTH CONNECTIVITY Youth Connectivity pilot at E3 Power Centers and the Hub at PA CareerLink® West addresses the digital divide by introducing youth to careers in the media and entertainment industries. Youth participated in a comprehensive media production and video editing training through a partnership with WHYY while increasing mobile access and amplifying youth voice. This pilot is made possible by a grant from Aspen Opportunity Youth Incentive Fund (OYIF). CAREER BRIDGING Career Bridging is an industry-focused approach designed to connect School District of Philadelphia Career and Technical Education graduates to education and employment opportunities in healthcare and facilities maintenance. These services help participants to build core technical skills and take the next step in their career pathway. Participants’ will transition into occupational skills training, career immersion experiences, work activities, credential attainment and placement into subsidized and unsubsidized employment. This pilot is made possible through an Employment Connections for Opportunity Youth (ECOY) grant awarded via Philadelphia Works. Since 2015, PYN has worked with the City of Detroit through Grow Detroit’s Young Talent (GDYT), a citywide summer jobs program that trains and employs young people ages 14-24. By leveraging technology and infrastructure to help their program scale, GDYT has increased the number of summer employment opportunities by 128%. In 2018, PYN began a partnership with Seattle’s Youth Employment Program (SYEP) to provide technology and training, as well as consulting on workflow and asset mapping. PYN blends and braids funding from local and national investors including businesses, philanthropy, individuals and multiple sources of public funding. *Complete copies of the Independent Auditorsâ&#x20AC;&#x2122; Reports and Financial Statements are available upon request: info@pyninc.org. Last year, 90.4% of funds supported the development, implementation and supports needed to provide opportunities for young people. We thank our contracted network of service-delivery organizations that operate programming that impacts young people across Philadelphia. We thank our investors, organizations and individuals that fund opportunities and make our work possible. Development, Inc. •	School District of Philadelphia - CTE •	School District of Philadelphia - ELECT •	School District of Philadelpia - GEAR UP •	SEAMAAC, Inc. •	Stepping Stones •	Sunrise of Philadelphia, Inc.
VietLead WesGold Fellows The Workshop School YOACAP Youth Empowerment Services, Inc. •	Youth Services, Inc.
Design a partnership In addition to being a contracted provider, PYN partners with youth serving organizations in a variety of ways to expand services for youth. Develop the future workforce Support youth experiences directly through career days, job shadowing, summer and yearround experiences, apprenticeships, employer round-tables, and more. Actualize your potential / Refer a young person PYN has a variety of education and employment experiences to help you succeed. Apply today at phila.workready.org or email us to learn more. Make a donation Donations can be made via check, credit card and United Way of Greater Philadelphia and Southern New Jerseyâ&#x20AC;&#x2122;s Donor Choice Program, visit pyninc.org/donate or email us. Financially support experiences The cost of programs vary across the continuum of experiences along a career pathway, and every contribution helps. For more information on how your business can get involved, email us. Together, we have shown that through creating coordinated systems for education and employment, we are capable of building opportunity to create a brighter, more prosperous Philadelphia. You can make a significant impact by supporting our work. 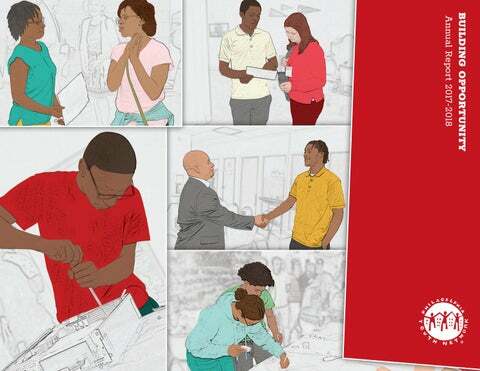 Take a look inside PYN's latest annual report, Building Opportunity. Learn about progress toward our 2020 Vision goals and more!